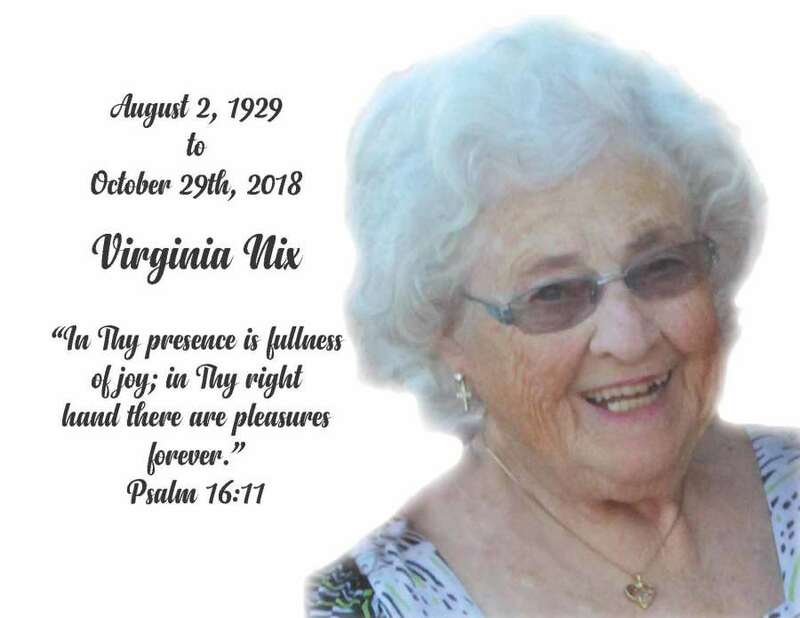 Mrs. Virginia Nix, daughter of the late Fred Elvin Bryant and Lily Velma Lucas Bryant, was born on August 2, 1929 in Doniphan County, Kansas. She passed away on October 29, 2018 in Brea, California at 89 years of age. She was raised in Milwaukee, Oregon and resided in Fullerton, California for 48 years. She graduated from Milwaukee High School in 1947, and began college at Multnomah School of the Bible in Portland, Oregon, then transferred to Bob Jones University, Greenville, South Carolina where she met the love of her life, Virgil, and they were married on June 7, 1949 in Cleveland, Ohio. Virginia started teaching at Little Lake Elementary in the mid-1950s and shortly after transferred to Walt Disney Elementary School in Anaheim, California from where she ultimately retired in 1998. In 1993, she returned to graduate school and at age 76 she received her Doctorate in Philosophy from the School of Intercultural Studies from Biola University. Virgil and Virginia attended Evangelical Free Church of Fullerton from 1972-2010 where Virginia sang in the choir, lead a missions support group, and served on overseas missions trips. In 2010, they began attending Orange Coast Community Church to worship with family. Since 2003 she was actively involved in A Quarter Blue, a non-profit organization where she was able to help equip parents and community members to protect and empower children. 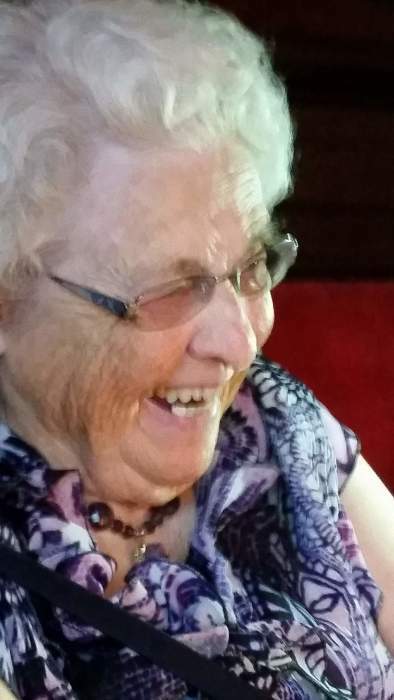 Virginia’s body failed, but her faith became her sight, when she saw the God who loves her proclaim, “Well done my good and faithful servant!” Virginia is survived by her husband of 69 years, Virgil, daughters Ruth Nix and Martha (Gary) Wade, four grandchildren and four great-grandchildren. She was preceded in death by her four siblings: Helen, Mary, Irvin, and Daisy In lieu of flowers, donations should be made to A Quarter Blue 172 N. Tustin St., Suite 308, Orange, CA 92867. Celebration of Life will be held on Sunday, November 11, 2018 at 4:00 p.m. at Orange Coast Community Church, 632 N. Eckhoff St., Orange, CA. Burial will take place on Tuesday, November 14, 2018 at 1:00 p.m. at Riverside National Cemetery, 22495 Van Buren Boulevard, Riverside, CA.